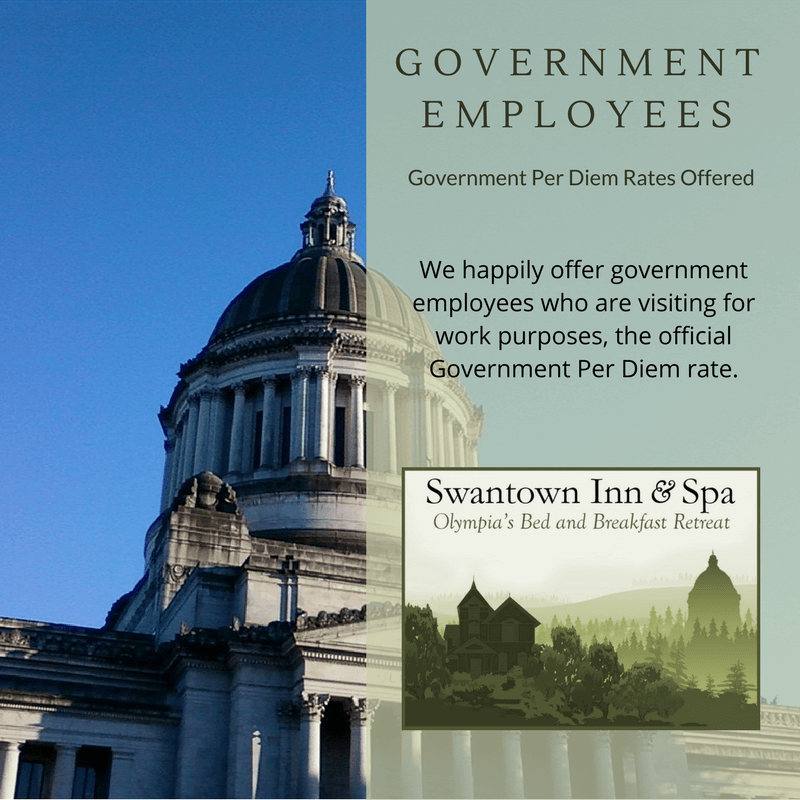 At the Swantown Inn & Spa, in Olympia, we happily accept the Government Per Diem for government employees who are here in Olympia on a business related trip. Please note, the per diem rate is for one person, and the per diem for breakfast is separate. We create a bill that reflects that you have paid these two items. We do not require you to have breakfast, but if you do you are charged the per diem. Speaking of breakfast we are willing and able to work with you to provide breakfast at a time that allows you to easily make your meetings. 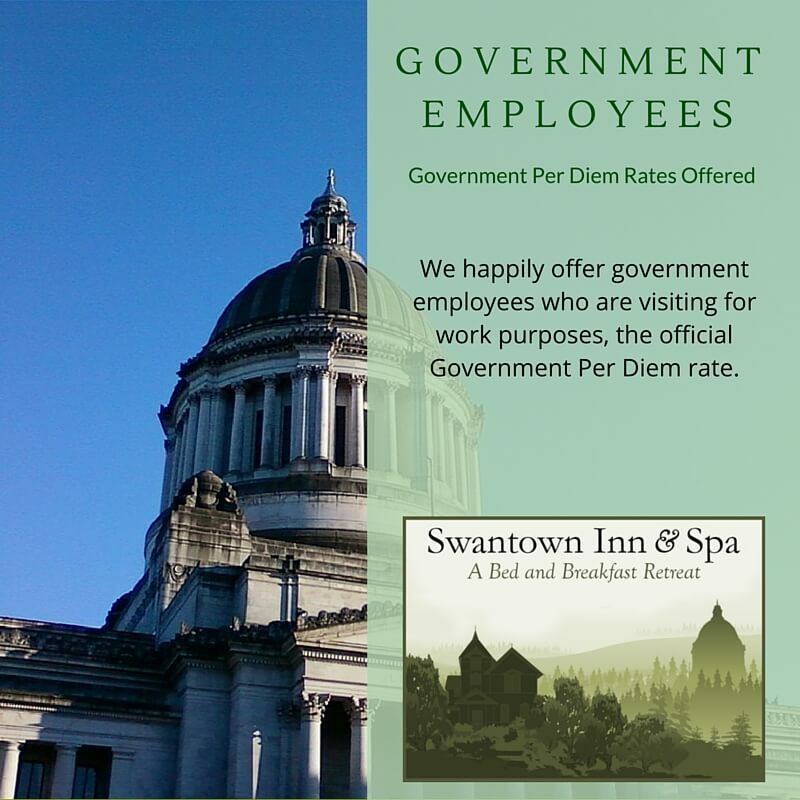 For the current Government Per Diem rate for overnight accommodation, and breakfast please visit the federal web site, GSA, US General Services Administration. you are required to either enter “Olympia” or click on the state of Washington to get the rates. 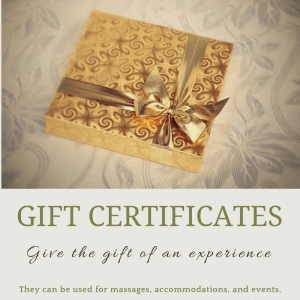 To receive these rates feel free to book online or call 360.753.9123. If you book online we will adjust the rates to reflect the government per diem. We are a short 1.1 miles if you walk or drive to the campus. If you are worried about parking we will even allow you to leave your vehicle here for the day. Google Maps estimates walking time to be 23 minutes, we walk quicker and say 15 to 20 minutes.